"This was probably my best game of the tournament. Interesting to analyze the correct way to play the final to defend the northern border that, starting from move 36 and 38, is characterized by a rather risky position." First stage of Italian Grand Prix. Three foreign players at this tourney: Takuji Kashiwabara and the 2 Juigner brothers Arthur and Felix. 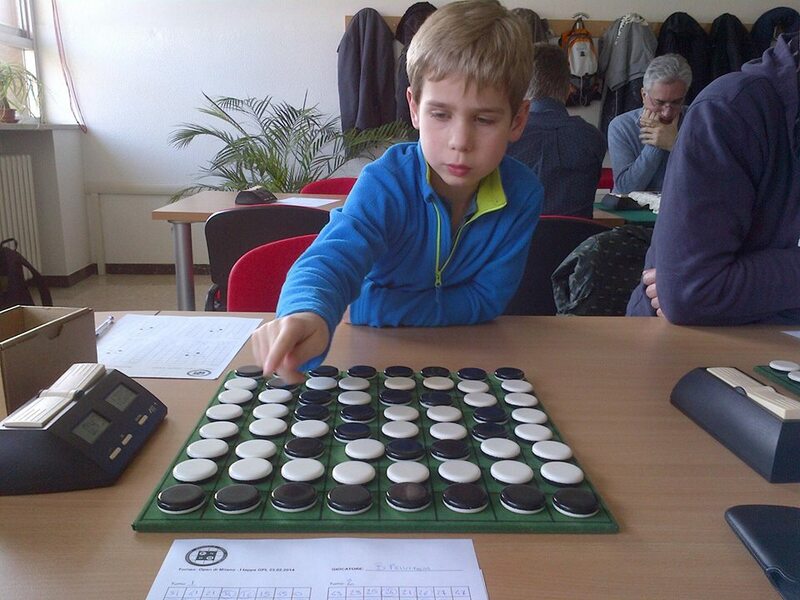 We all know Arthur, but his brother Felix, age 7, is also a very keen Othello player. The two brothers played against each other in the first round and that game was a 10 - 54 victory for the oldest brother. 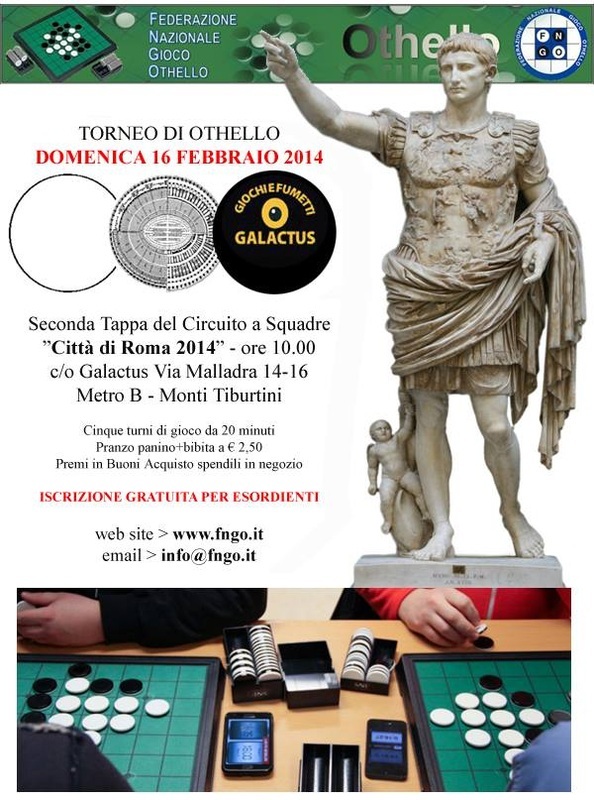 In round 2 Arthur defeated Francesco Marconi 37 - 27 and in round 3 he had another win against Alessandro di Mattei 39 - 25. 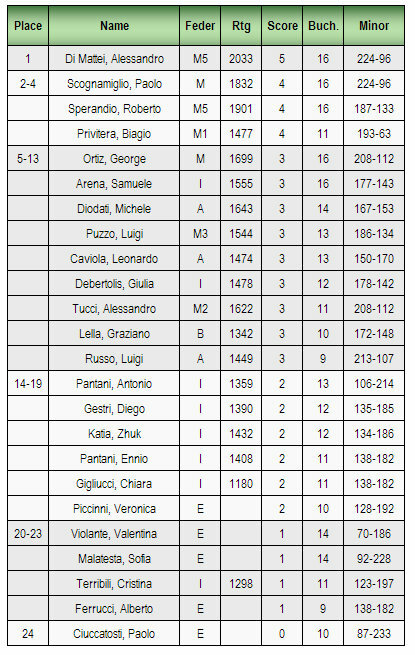 In the 4th round Roberto Sperandio was the only player to beat Arthur at this tourney. 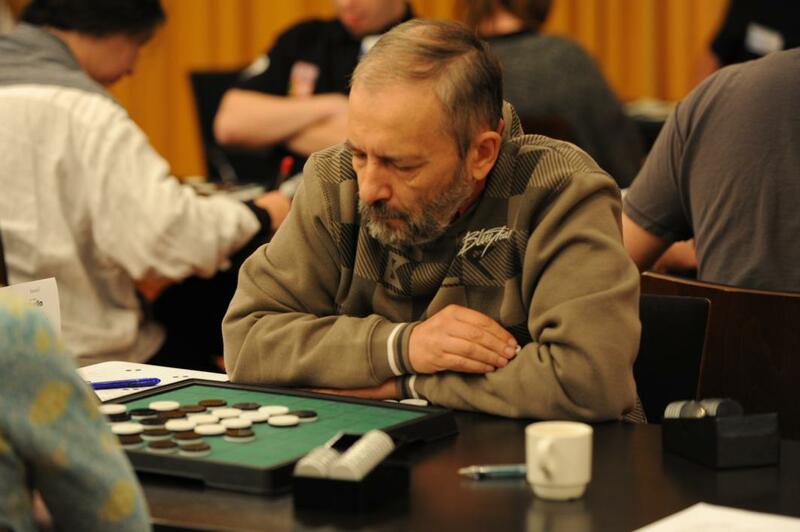 Roberto Sperandio was in the lead with 4 wins after 4 rounds but then he lost against Alessandro Di Mattei 39 - 26. 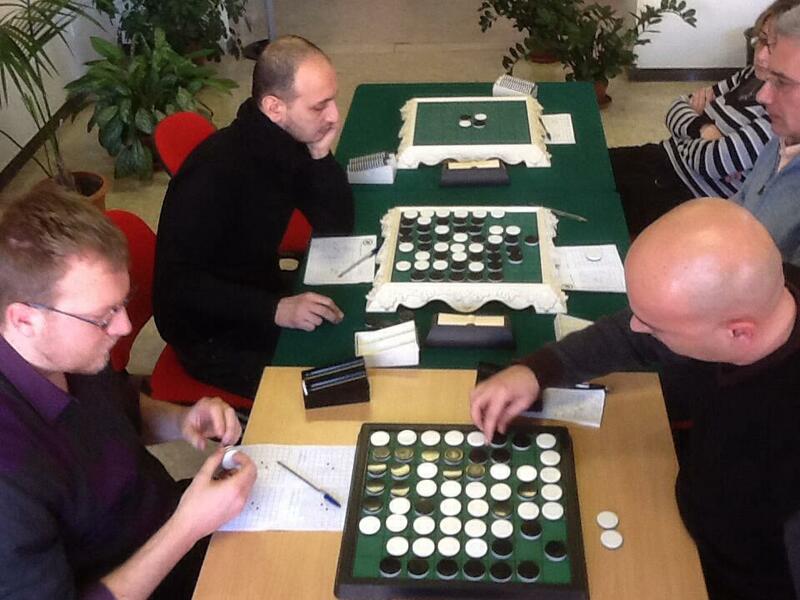 Arthur and Francesco also won another game so after 5 rounds we had 4 players with 4 points. Ony 3 points so far for European ChampionTakuji Kashiwabara. At the start of the final 7th round 3 players had a score of 5 points: Roberto Sperandio, Alessandro Di Mattei and Arthur Juigner. Di Mattei defeated Francesco Marconi 47 - 17. Donato Barnaba won 42 - 22 against Roberto Sperandio. 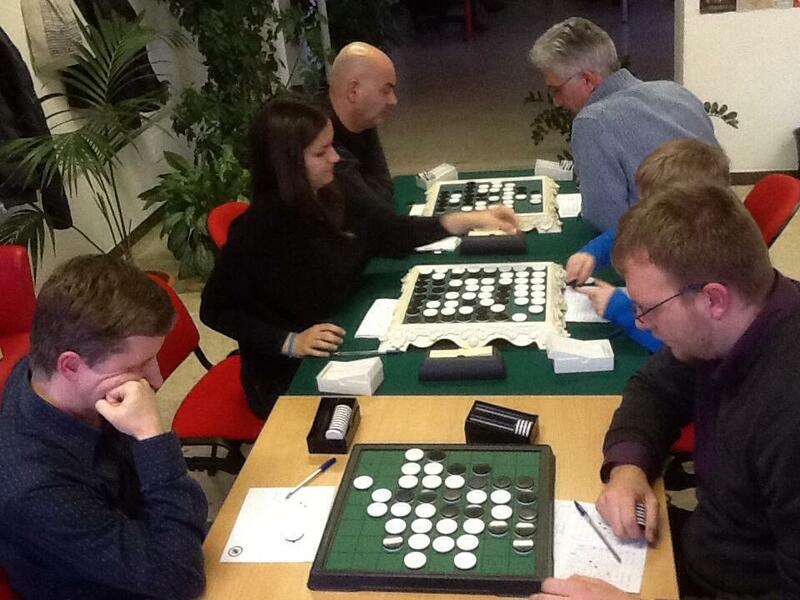 Arthur won against Takuji Kashiwabara, an astonishing 9 - 55 game. 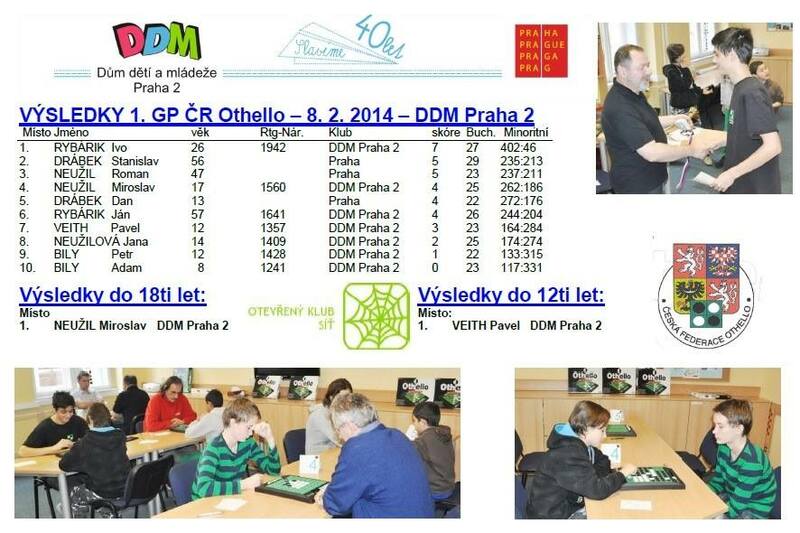 Two players with 6 points at the end of round 7, Alessandro Di Mattei (winner) and Arthur Juigner (2nd place). 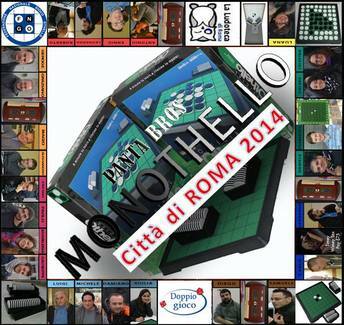 Third place with 5 points for Roberto Sperandio. Lots of great pictures by Biagio Privitera on facebook (public album). 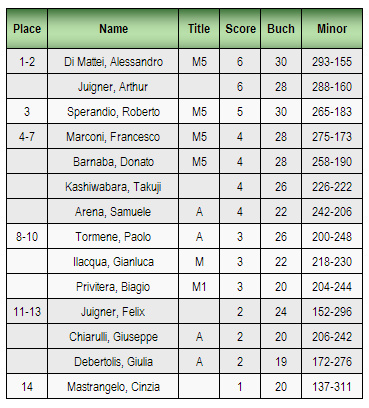 Just like the first stage, the second was also won by Alessandro Di Mattei. Standings after 2 tourneys can be found here. Masaki Takizawa qualified for the final with a perfect score of 6 wins. 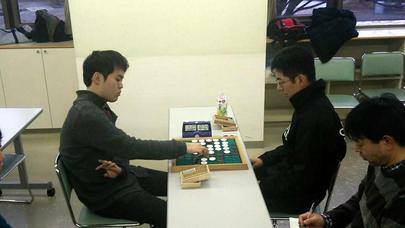 His opponent in the final, Takashi Yamakawa, qualified with 5 wins. 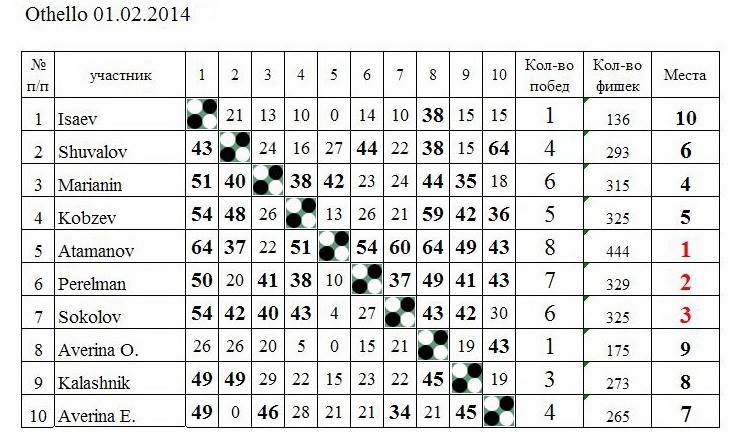 The final was a 25 -39 victory for Takashi Yamakawa who played white. Masaki Takizawa chose to play black and would have had the win in case of a draw. 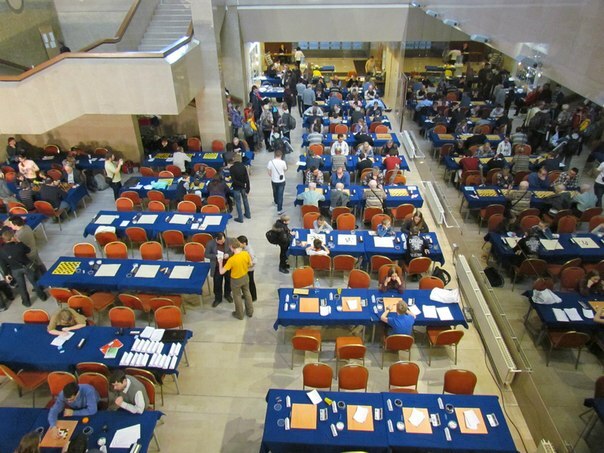 Their game in round 4 was a 33 - 31 win for Masaki Takizawa and the final game was identical to the other game up to move 26. Instead of H4 white took G3. A nice rematch for Yamakawa who failed to reach the semifinal of the OWC in Singapore on the second day after a very good start on day 1. A voting procedure was started on February 5th for the complete set of EGP rules. It is a collection of all the rules that were already separately approved in the past. Of course future modifications will be possible. 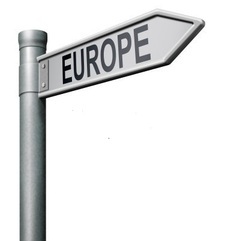 Francesco Marconi notified the European federations on February 13th that the majority of the Federations votes was in and the set of rules is approved. 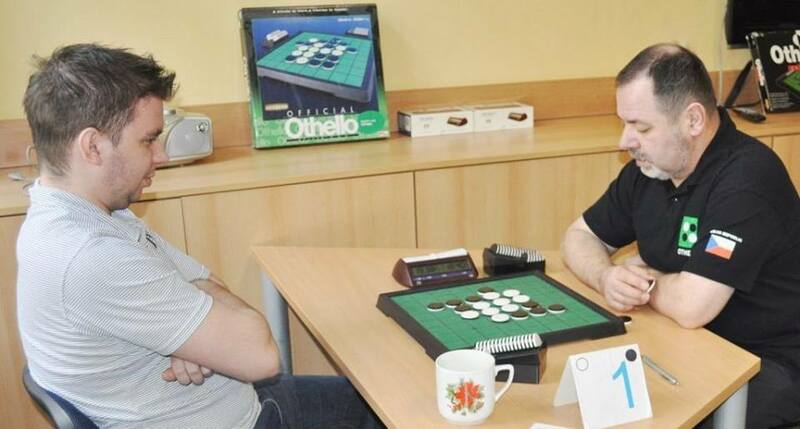 Two Othello tourneys at the mind-sport festival in Moscow. 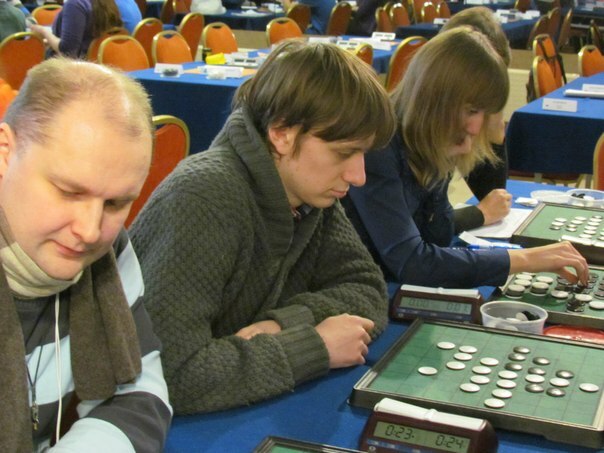 The regular tourney on Saturday was won by Dmitriy Atamanov. 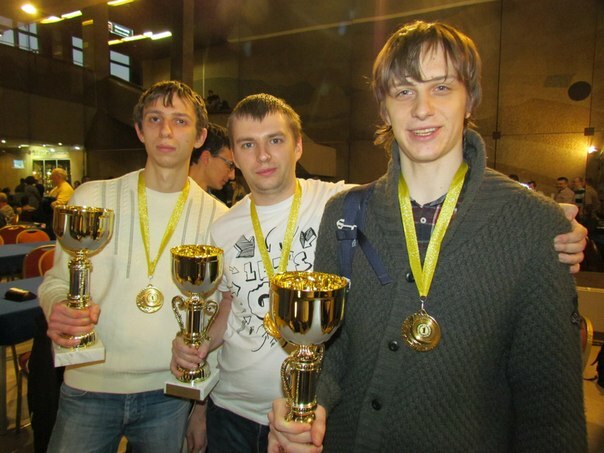 Vladislav Kalashnik won the Anti-Othello tourney on Sunday. This was a Shifman "family" tournament. 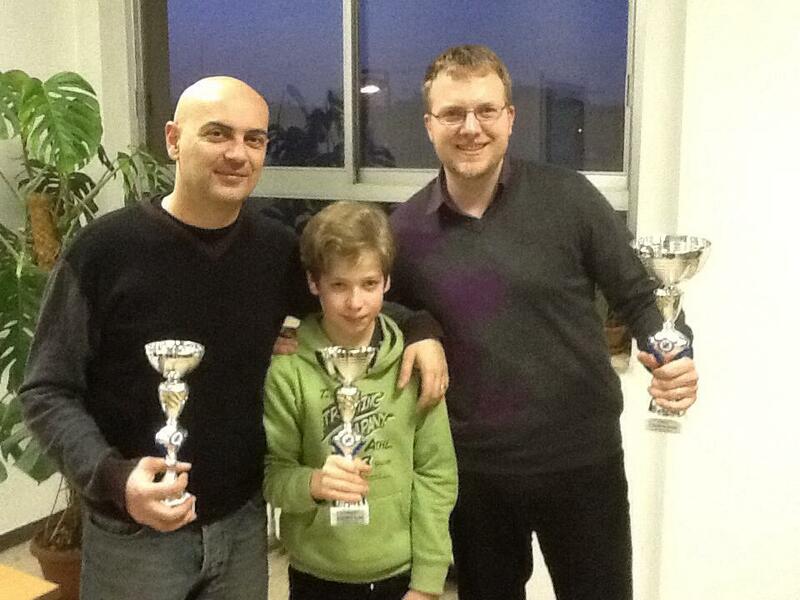 Leonid Shifman, his son Ilya and 8-year old Michael, son of Ilya, and granddad won! 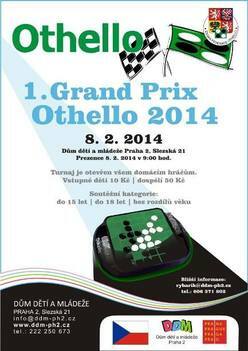 First tourney in the Grand Prix Othello 2014. There will be 4 more tourneys and the final Czech Championship. 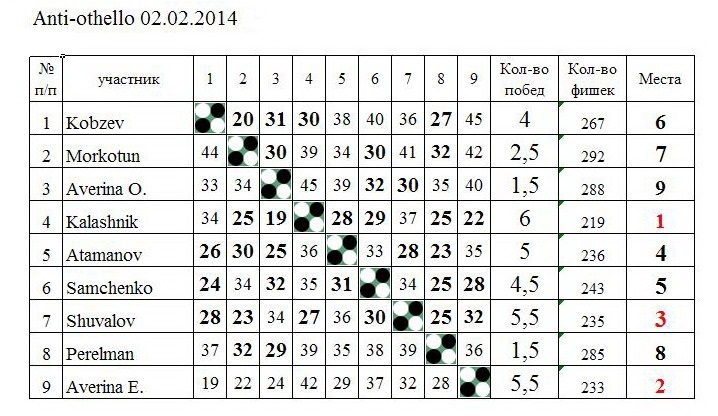 Dates of the next tourneys are not yet available. 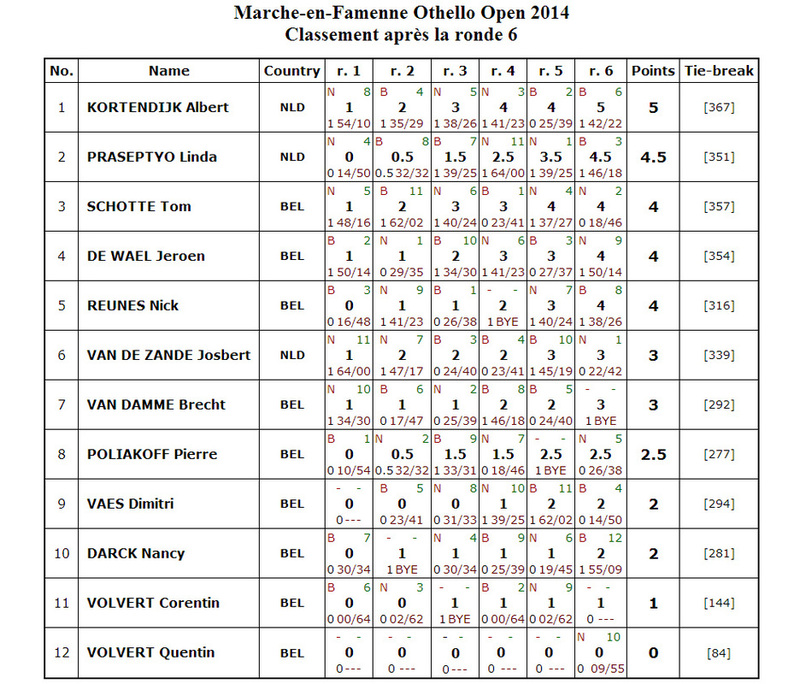 The first Dutch tourney in 2014 and the winner is no surprise...... Nicky van den Biggelaar and he won it in style with a perfect score of 6 wins and a bye in the final round. A very succesful trip to Belgium for the Dutch couple Albert and Linda. Albert won the tourney with 5 wins out of 6 and Linda was second with 4.5 points. Albert lost only 1 game and that was his game against Linda in round 5. 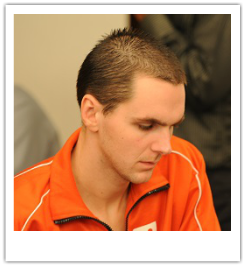 Too bad that Linda did not start the tourney too well, a loss against #4 Jeroen de Wael in round 1 and a draw in round 2 against Pierre Poliakoff. But after a slow start she defeated both Albert and Tom Schotte. Best Belgian player was Tom Schotte.